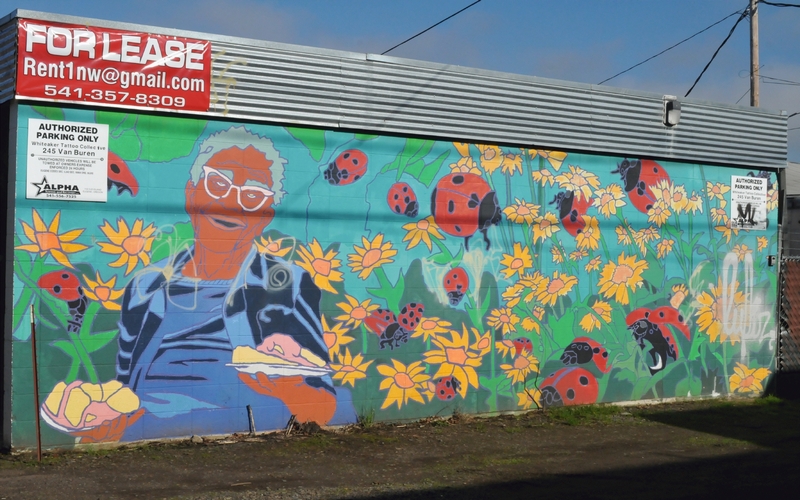 The mural was drawn on the back of a commercial building that was presently for lease. 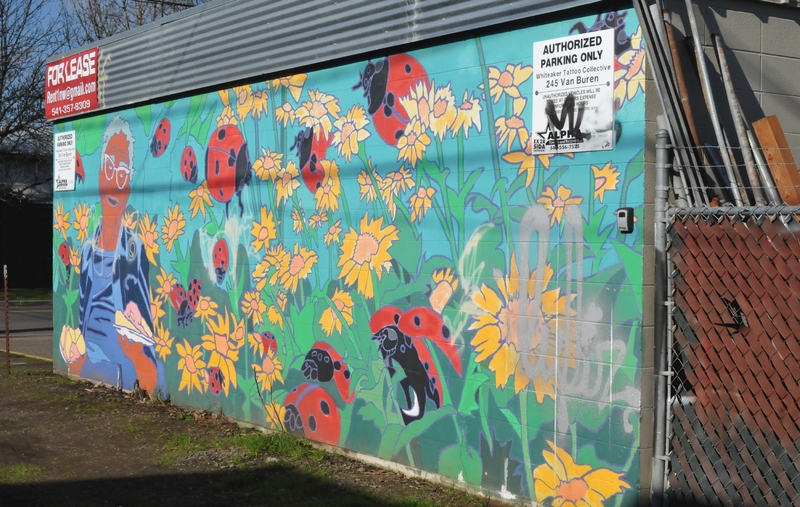 "Authorized Parking Only" signs obscured the corners of the mural. 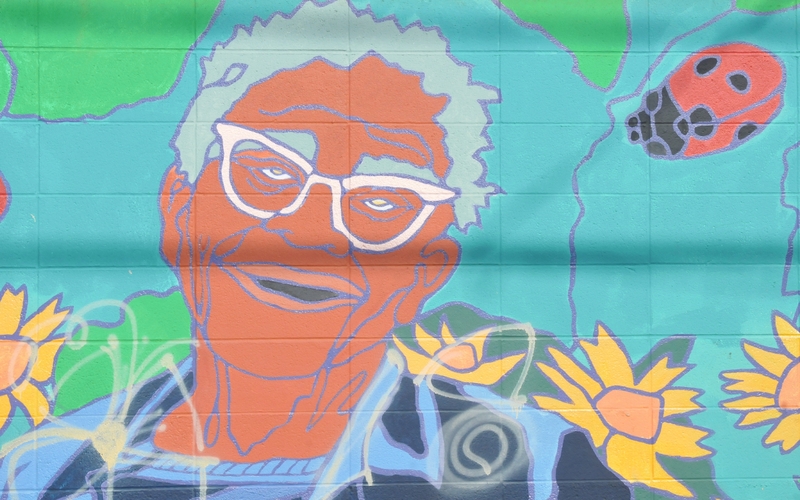 The joyous face of an elderly woman was partly obscured by spray painted graffiti. The woman held in her left hand a plate heaped with outdoor food. A flying ladybug hovered above a yellow flower and appeared about to land. 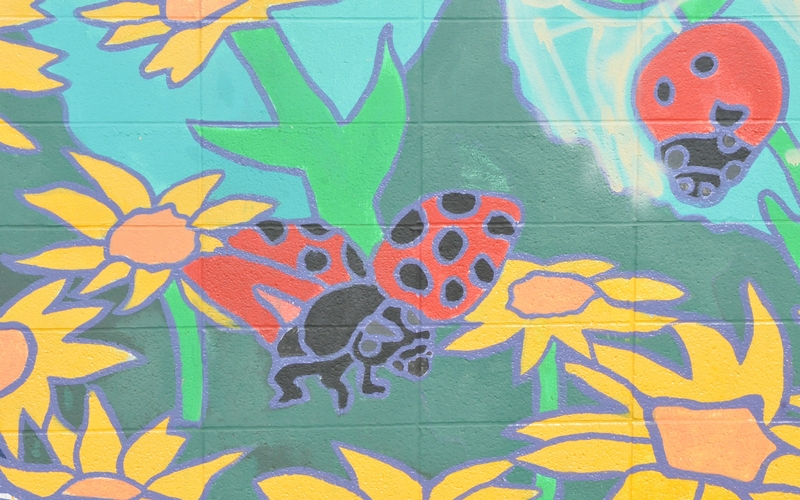 A fat ladybug, viewed from above, stood on the stems of yellow flowers. 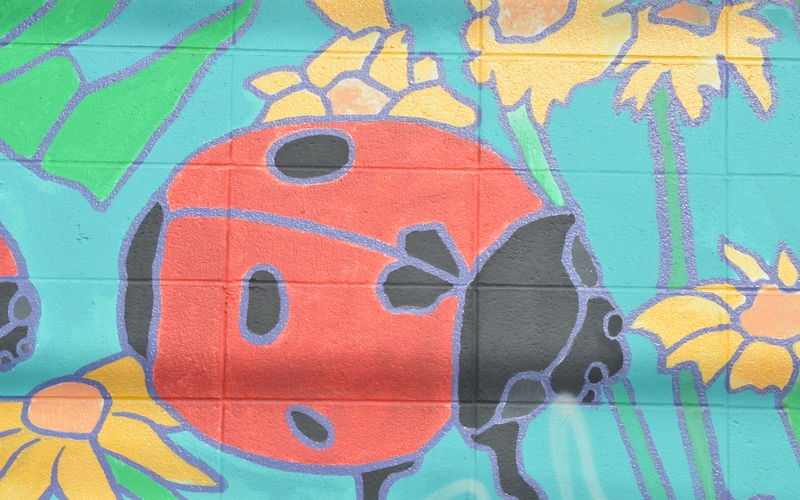 One of the many ladybugs spread its wings and was about to fly off the mural. 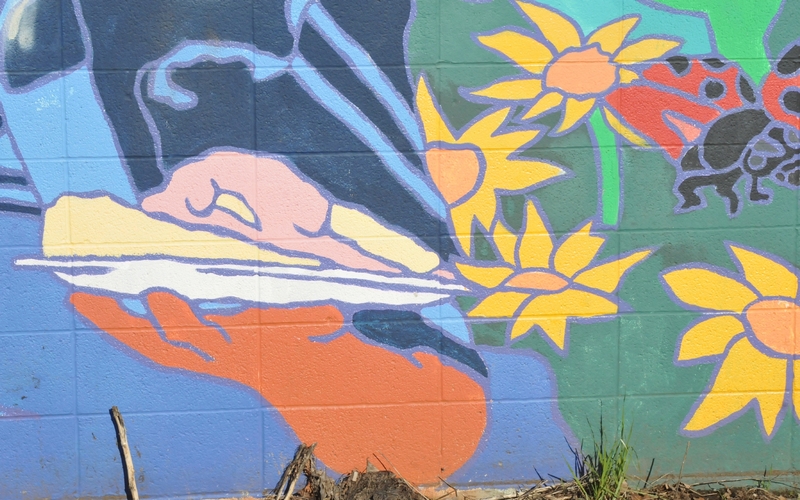 Viewed from the other end, one could easily see that graffiti had begun to deface the mural. This kind of graffiti cannot be simply washed off, or painted over. 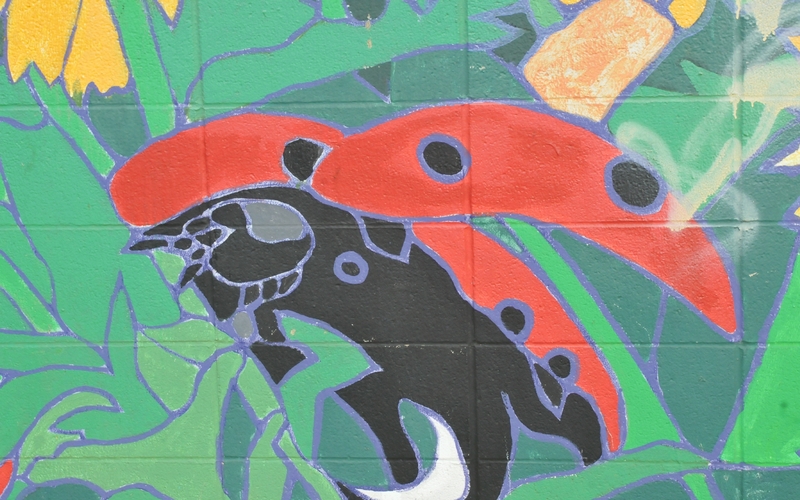 It will require the skill of an artist to repair the mural.